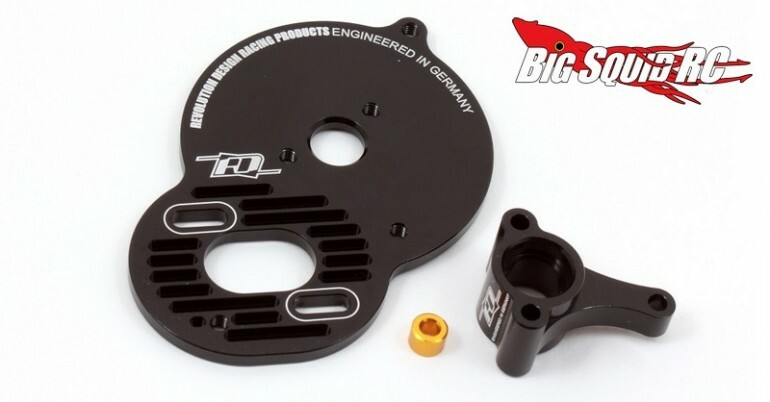 RDRP Aluminum Option Parts for Durango 210 Series « Big Squid RC – RC Car and Truck News, Reviews, Videos, and More! The guys over at Revolution Design Racing Products have just announced a couple of new aluminum upgrades for the Team Durango 210 series. The first is a new Heat Sink Motor Plate. CNC machined from 7075-T6 aluminium, the new RDRP motor plate is designed to help keep the temperatures down on your motor while bringing up the bling factor of your ride. The second is a pair of Aluminium Battery Stoppers. These are also CNC machined from 7075-T6 aluminium and are much tricker than the stock plastic parts. Click Here for more RDRP news right here on BigSquidRC.